This is possibly a first in Babylon 5 history: the B5AG crew cites Ross Perot in an otherwise serious critical analysis. 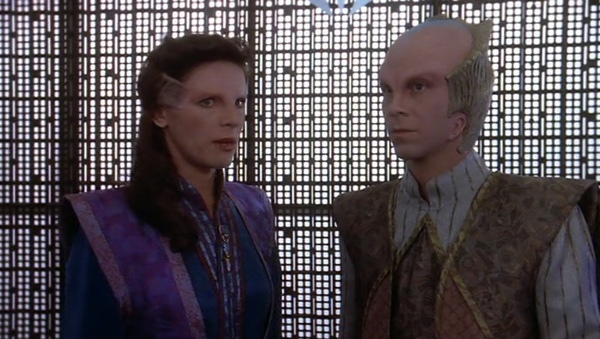 Meanwhile, Captain Sheridan is all alone in the night, Delenn is all alone in the night, a pilot whose call sign may as well have been “Dead Meat” is all alone in the night, and I seem to recall that a certain space station was described as being all alone in the night, I’m not sure. Oh, and it’s time for the series’s second jab at those poor, misunderstood abducting gray aliens.